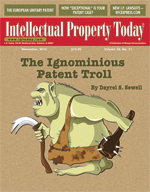 On January 14, 2014, the Office of the New York State Attorney General (OAG) made a significant contribution in combating the ignominious patent troll. Attorney General Eric Schneiderman announced that MPHJ Technology Investments, LLC (MPHJ), a so-called “patent troll”, entered into an Assurance of Discontinuance (or settlement) with the OAG stemming from the OAG’s June 2013 investigation of potentially deceptive statements, and other abusive conduct, by MPHJ relating to its patent licensing program which targeted New York businesses as potential infringers of its patents. See Assurance No. 14-015. 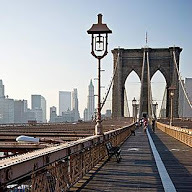 The Attorney General’s investigation focused on MPHJ’s use of deceptive and abusive tactics when it contacted hundreds of small and medium-sized New York businesses in an effort to strong-arm them into paying MPHJ for patent licenses of dubious value. In addition to falling squarely within the crosshairs of the New York, Nebraska, Minnesota, and Vermont Attorney Generals, MPHJ is one of the first patent trolls to ostensibly catch the consumer protection watchful eye of the Federal Trade Commission (FTC). Prior to the FTC filing its draft complaint, MPHJ filed its own preemptive complaint on January 13, 2014 in the Western District of Texas against the FTC and its commissioners and directors. See MPHJ Technology Investments v. FTC et al. ; case no. 6:14-cv-00011-WSS. As a bit of background, the FTC first sent a subpoena to MPHJ in July 2013, “seeking certain information regarding MPHJ’s patent-related correspondence and enforcement activity” prior to likely seeking a consent judgment or pursuing FTC Act litigation barring deceptive trade practices. FTC also served a subpoena on Farney Daniels, the law firm retained by MPHJ to help with its enforcement campaign. To date, the FTC has not filed its reply to MPHJ’s Complaint. Notwithstanding, intellectual property enthusiasts and many interested others anxiously await greater, appropriate patent reform.